Many ministry teams help make weekly worship possible. If you are interested in serving on one, please email Carrie Price in the church office. 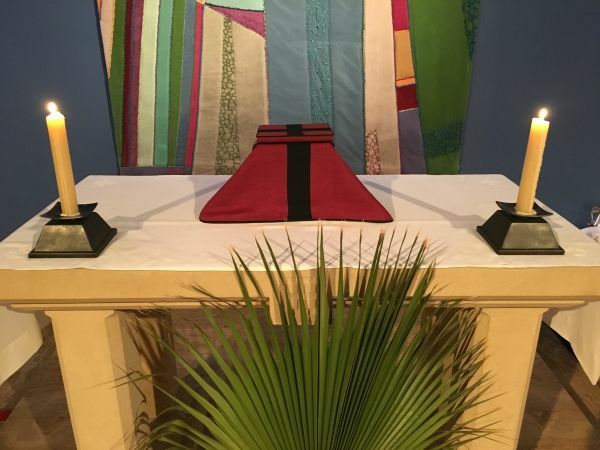 Altar Guild - This devotional, behind-the-scenes ministry involves preparing everything that is needed for worship including preparing the altar, the elements (the bread and wine), and worship linens and then cleaning up after services to prepare for the next. Acolytes - Both adult and teen acolytes serve every Sunday, one at the 8am service and several for 10:30am. They lead the procession, provide support for clergy during the service, and lead the recessional at the end. Lay Eucharistic Ministers (LEMs) - Our Lay Eucharistic Ministers serve the chalice during communion during both services. Some of our LEMs also take communion to people who are unable to get to church. This ministry requires clergy approval and typically involves diocesan training. Lectors - Lay people at both services on Sunday read the two lessons and the Prayers of the People for that morning. Ushers - This ministry is one of sharing God's grace and welcome: greeting people as they come in, presenting the community's offerings, inviting the congregation to the communion rail, and greeting people at the end of the service.